Trust me: What you put in your body can be seen from the outside! So take care of your body by eating HEALTHY. It’s not only good for your overall health, but its great for your skin. People who want to have flawless skin (well almost flawless) need to start paying attention to the types of foods they put into their bodies. Flushes out toxins from your body. 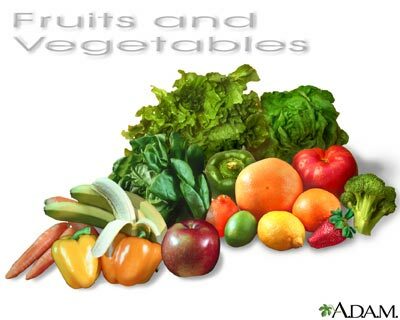 All contain Vitamin A, a vitamin that is wonderful at improving the turnover of cells in the skin. This means your skin gets renewed faster and the freshest skin is on top. These are really rich in Vitamin C. Vitamin C delays or reduces wrinkles. Selenium is really good for your skin, and is contained in whole wheat cereals, breads and baked goods. This improves the skin at a cellular level and keeps you looking beautiful. Foods rich in iron help your skin become healthier. Try adding a few of the above to your diet for a healthier body and healthy skin. P.S. If you are trying to get rid of acne, foods that are rich in zinc or vitamin A are ideal choices. ← Paid Summer Jobs in NYC!